Availability Calendar & Information for Renting of the Meeting Room...click below. Livingston/Clifton Fire Fighter or First Responder?! Contact any member (see left column for Active Member list) of the department or email lc[email protected] for more information. *LCFD purchased a Jaws Unit. Any questions, contact a fire member! Donations are welcome and will be designated to go towards the Jaws Unit if you so wish! *Congratulations to Dave Friesen of the Livingston-Clifton Fire Department for passing his Certified Firefighter 1 Practical test and becoming a State Certified Firefighter I!!!! 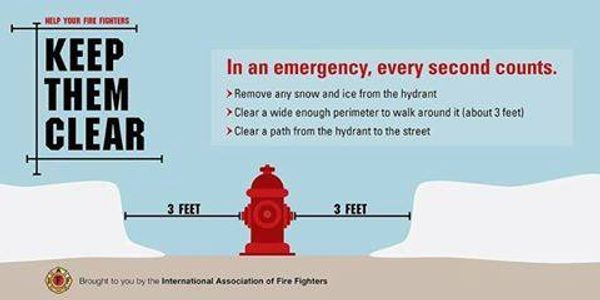 *Did you know that there are 14 active First Responders on the Livingston-Clifton Fire Department ready to help in your time of need? We recently had 3 new members join! Welcome aboard Heather Bowles, Linda Friesen, & Theresa Sander! On May 3, 1915 at the Village Board ...meeting they discussed fire protection but it was tabled. On September 21, 1915, the Village Board voted for a committee to arrange a demonstration of the a Chemical Fire Engine or Engines. John Thompson was voted to close the deal of a parcel of land 40 X 120 feet for the first village hall, jail, and fire station. On October 4, 1915, the village board voted to buy a hand drawn fire engine. It was a chemical engine. They paid for it on January 4, 1916. The price was $480. On April 3, 1916, the village board authorized John Anderson to organize a village volunteer fire company. Three hundred twenty-five dollars was allowed for a new ladder and truck cart on January 28, 1918. On August 1, 1921, it was voted to allow each member of the fire department 25 cents for each meeting and one dollar for each fire attended. At the March 5, 1923 meeting, the board resolved to replace inadequate fire equipment and purchase at a cost not to exceed $2,250 a Ford Motor chassis to be fully equipped with a 3 tank chemical fire fighting equipment and a pump pressure fire engine. They voted to enlarge the fire limits within the city. In January 1924, Reverend J.R. Lindsley was the fire chief. On February 7, 1927, a chassis for chemical tank was purchased. On June 6, 1928, the following were elected by department members to serve. Fire Chief O.S. Laughton, Assistant Chief W.B. Alton, Secretary/Treasurer George Coombs, and Fire Marshall J.S. Warne. 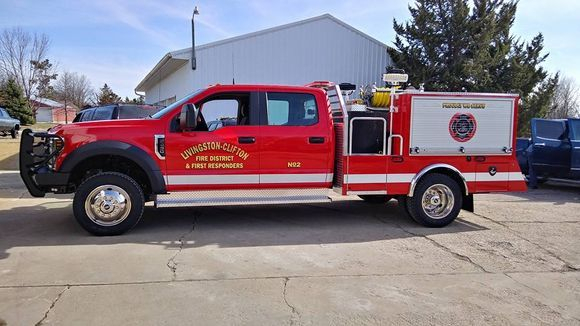 On September 2, 1929, John Livingston was authorized to buy a charger and equipment for the fire engine. On May 3, 1930, the Village Board move to pay excess of the amount donated by the Fire Department for purchase and installing of a fire siren. Before this, a fire bell was rung 4 times for a village board meeting and rapidly for a fire. In 1930, the Fire Department had a Model T Pumper with a 150 gallon tank and a one inch hose. They didn't get much pressure but it was better than the wagon with the buckets. In 1938, a Diamond T Pumper Truck including a 500 gallon tank and a 500 gallon per minute pump was purchased. The next addition was a 1000 gallon tanker truck purchased in 1957, followed by an equipment van in 1960. In 1969, the village merged with Clifton Township and a fire board was selected to govern the operations of the fire department. Together they purchased a new truck from John Bean in Tipton, Indiana. It had a 750 gallon tank with a 750 gallon per minute pump. In 1970, the new fire house was built which holds four trucks and contains a kitchen, dining area, and rest rooms. The tile building that was used to house the two fire trucks is now used as a village garage. In late 1979, the Fire Board purchased a second tanker which carries 1500 gallons. We now have two pumpers, two tankers and an equipment van. The Fire Chief is Bill McReynolds, Vice Chief is Steve Nechkash, Vice Chief II is Kenneth Moen, Secretary/Treasurer is D.J. Mellor and 31 other very good firemen. In 1986, the fire department purchased a Ford F-350 Mini Pumper and a Ford Tanker with a 1500 gallon tank and 250 gallon per minute pump. In 1989, all Livingston-Clifton Fire Department members attended the Wisconsin Firefighters Association Firefighter I certification course. 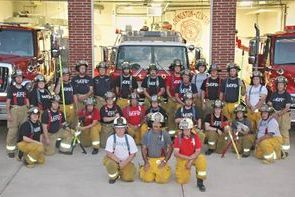 Livingston was the only department in the area that had the entire fire department certified by the State of Wisconsin. At the present time, Mervin F. Wunderlin was serving as our chief. In 1990, the equipment van was replaced with a refurbished Grumman equipment van which was customized by firemen from the department. 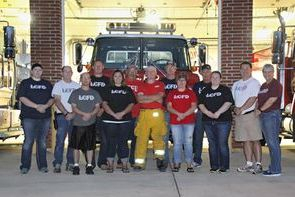 In 1994, 9 Livingston-Clifton Fire Department members were certified as First Responders. These members were trained to work with the Montfort Rescue Squad to care for medical emergencies in our fire district. In 1998, the Fire Board voted to upgrade the pumper. 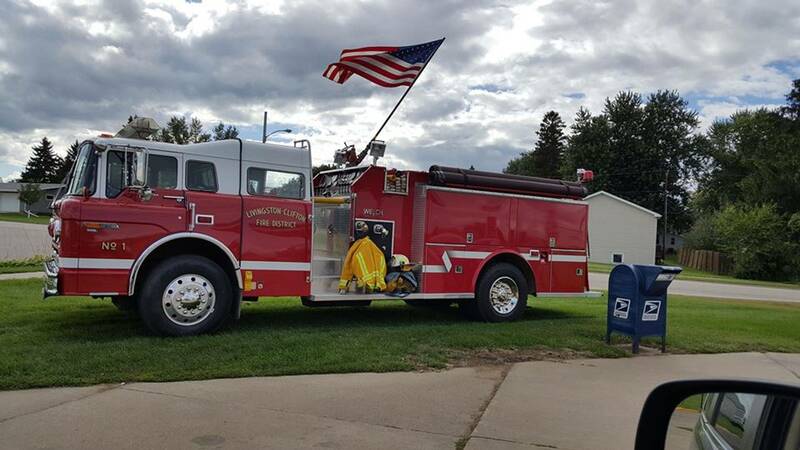 Welch Fire Apparatus was contracted to build the new 1000 gallon pumper equipped with a 1250 gallon per minute pump, seating for 6 firefighters, Class A foam induction system, and deck gun. The new truck was build on a 1989 Ford Tilt cab. In 2001, the First Responder unit purchased a $3200 AED (Automated External Defibrillator) with money generated by donations and fund raising. 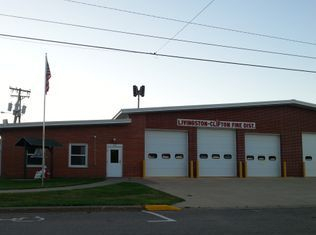 Also in 2001, the original fire house was raised by the Village of Livingston. In April 2002, the Fire Department purchased an $18,000 Thermal Imaging Camera from money generated by donations and fund raising. to replace it. Tank from old Ford Tanker is put on this chassis. The department as of January, 2010 includes: Fire Chief Charles Hrubes, 1st Assistant Chief Frank Francis and 2nd Assistant Greg Burton, Secretary/Treasurer Tim Loeffelholz, and 19 other good firefighters. 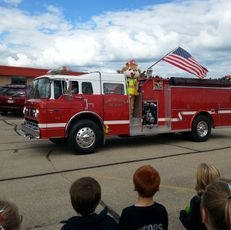 2010 - Department awarded FEMA grant of $230,000 for a pumper/tender (5% paid for by the district and 95% is grant money). 2011 - New Pumper/Tanker arrives in April. New addition to firehouse necessary to fit all the trucks. New firehouse addition started in September 2011 and completed in November 2011, adding 2 truck bays to the south side of the station. Trucks first parked in there on November 3rd. In a hurry to get them inside since it is now below freezing at night! 2016 – Added TNT Jaws Unit. 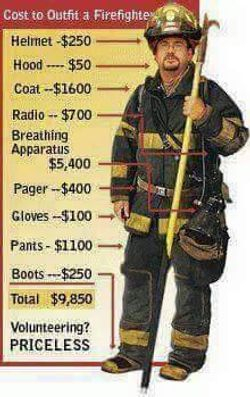 Paid for 100% with fundraiser money from FireFighters. 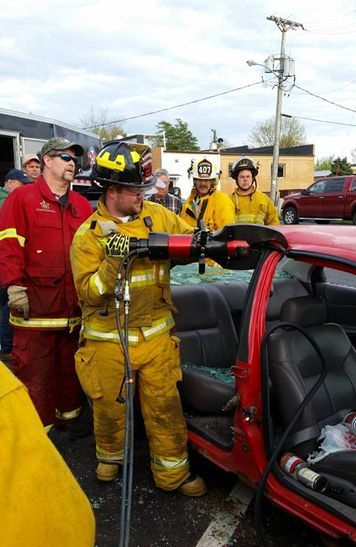 2017 – Outfitted 4 First Responders with jumpsuits and helmets for car accident calls. Grant from Alliant Energy Foundation paid 100% of this equipment!